Home > Rewards Programs > Kellogg’s Family Rewards: Double Points This Weekend Only!! 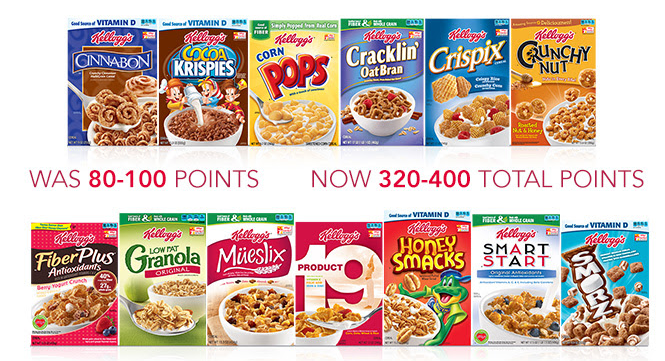 Kellogg’s Family Rewards: Double Points This Weekend Only!! Saturday and Sunday only, Kellogg’s Family Rewards is offering double points on every code entered. You’ll find codes inside Kellogg’s and Keebler products, plus there are a number of codes available online. Each code will earn you between 40 to 200 points with this doubling! Why earn points? To get awesome coupons! They have great $1.50 off coupons good for one box of cereal, cookies and all kinds of other products. Start off with points when you enter code KFRSHARETHANKS20.